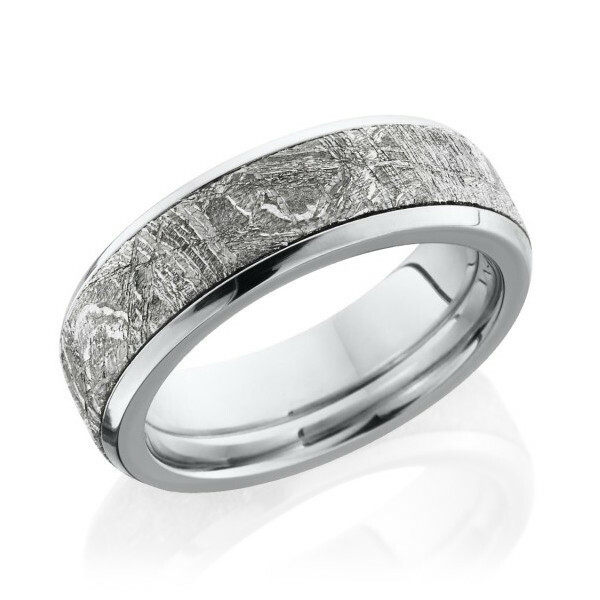 This men's wedding band from Lashbrook is out of this world! Crafted in 14kt white gold, the flat 7mm ring with beveled edges features a 5mm meteorite inlay. This Lashbrook gent's ring ends the search of those looking for a one-of-a-kind piece of jewelry that they will be happy to wear all day, ever day!